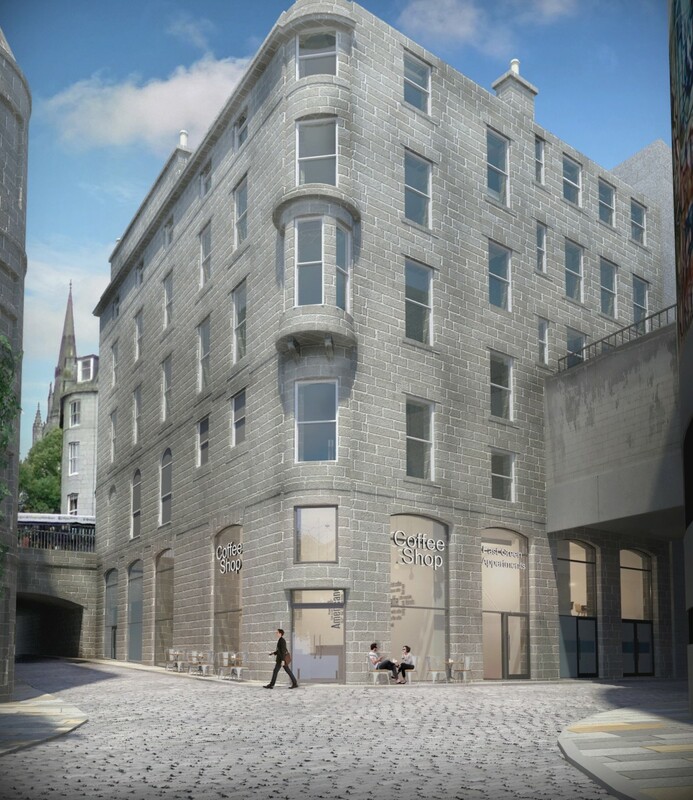 New life is to be breathed into an historic C-listed property at 101 Union Street, Aberdeen, through conversion to residential while retaining the ground and lower floor for retail and café use. 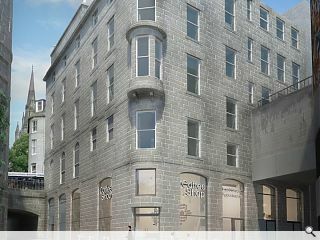 A general reconfiguration of the property is to be undertaken by developer Rockspring and their architects Halliday Fraser Munro in light of a fast-changing retail environment, by refurbishing ground and first floor units to attract new tenants while converting disused upper floors into apartments. Externally the most visible manifestation of this approach will be the removal of blockwork at ground level and replacement with new glazed screens to return the stately building to its ‘former glory’. In a statement Rockspring wrote: “The proposed glazed screens to levels one & two would remove the ‘heavy’ facing blockwork, replacing them with transparent elements that provide activity at street level. The addition of the new screens would also see the removal of the unattractive vertical bars at high level to the recesses. This work will form part of a larger masterplan encompassing neighbouring properties stretching to 81 Union Street, a bridge link and creation of a new façade and shopfronts to Market Street. 5 flats....let the repopulation of aiberdeen city centre begin! This is the back side of the building, not the Union St façade! It is pretty small scale in terms of the overall length of the street.